Sunday saw the commemoration of the Prodigal Son, a clear sign that we are getting closer to the beginning of Great and Holy Lent. The story of the parodical son is a call to repentance, and is seen, according to Bishop Nectary of Seattle of blessed memory, as the secondary Names Day of every monk. The monastic vocation is a special calling from God that is all about relationships. Although it is a relationship that involves community (the monastic brotherhood), it primarily revolves around the monk’s relationship with God. Monks are not holy men who are living lives set apart from the world, but men who are seeking holiness by entering into a relationship with the God Who, through that relationship, promises holiness. The monk attempts, with God’s help, to live a life that is in imitation of the angels, thus the monastic life is often referred to as the angelic life. Through his continued communion with God the monk attempts to give himself over to the transformation of his own life that comes with the action of the Holy Spirit. Holiness is not something that is just about the saints, whose icons we venerate and whose lives we read about. Holiness is better understood as wholeness, made whole, or healed. We seek healing from the darkness and estrangement that we’ve inherited as a result of the fall. We seek out the God of righteousness Who alone can heal us of our infirmity. As Christ increases in us, our fallen nature decreases. In monastic obedience, the self is replaced by the will of God and the ego is trampled down. The goal of the monk is to acquire the Holy Spirit from whom comes true repentance and a humble and contrite heart. This relationship that brings healing for the monk also brings healing for the world. Saint Seraphim of Sarov said that if you acquire inner peace, a thousand around you will be saved. The monk is thus not someone who leaves the world because he cares little for those in the world but because he cares for everyone and everything. Because he loves his neighbor and the whole of the cosmos, he gives himself over to be transformed by the Holy Spirit, becoming a living martyr to self. 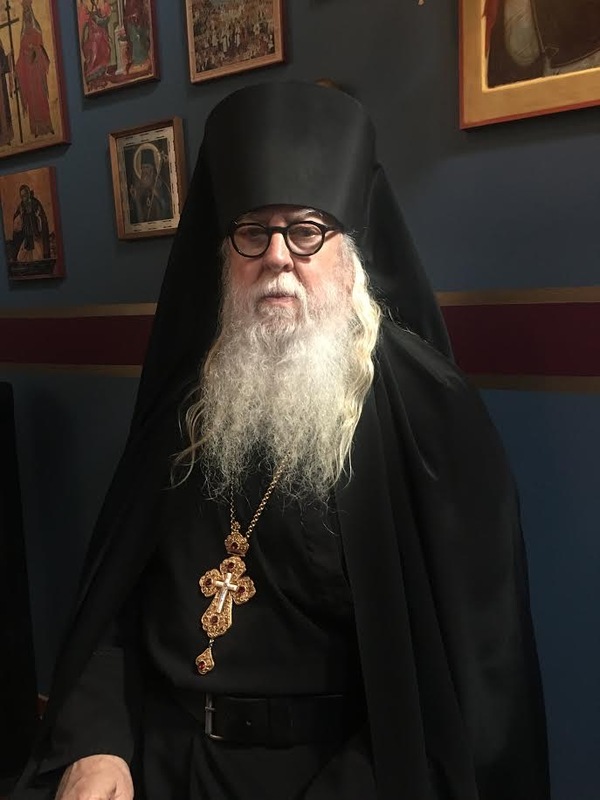 The monk stands before God as an intercessor for the whole of mankind, not because he intentionally flees from others, but because he becomes closer to others by entering into an intimate relationship with Jesus Christ, Whom he serves. 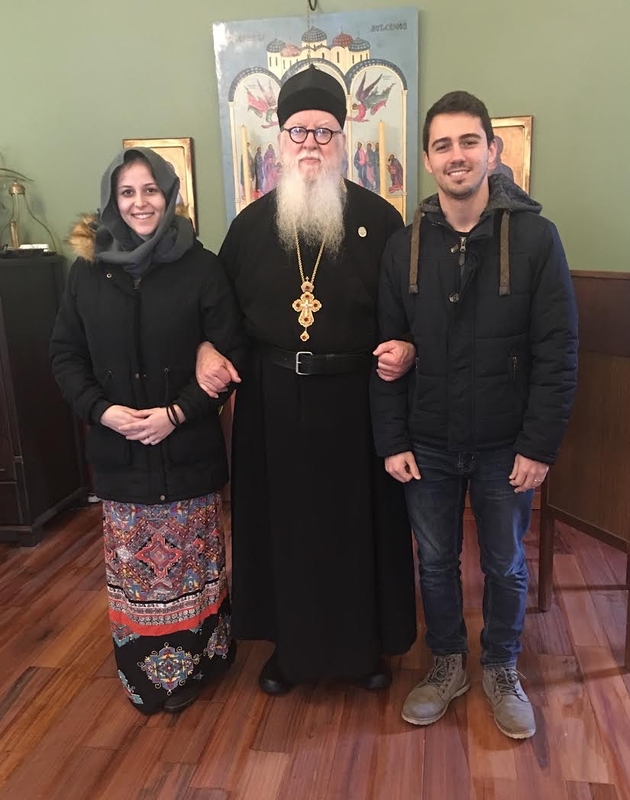 Photo: Linsey and Vinnie King, members of Saint John the Evangelist Orthodox Church in Scottsdale, Arizon, joined us for the Sunday Divine Liturgy. 3 Behold what manner of love the Father has bestowed on us, that we should be called children of God! Therefore the world does not know us, because it did not know Him. 2 Beloved, now we are children of God; and it has not yet been revealed what we shall be, but we know that when He is revealed, we shall be like Him, for we shall see Him as He is. 3 And everyone who has this hope in Him purifies himself, just as He is pure. 10 In this the children of God and the children of the devil are manifest: Whoever does not practice righteousness is not of God, nor ishe who does not love his brother. I belong in life, but the time I get to share with the monks here on Vashon will never be enough. (Except for when the Abbot is annoyed with me for taking too long to make coffee or for looking at a book during trapeze).